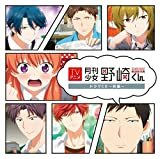 o the eyes of classmate Chiyo Sakura, high school student Umetarou Nozaki brawny of build and brusque of tongue— is a dreamboat! When Chiyo finally works up the courage to tell Nozaki how she feels about him, she knows rejection is on the table…but getting recruited as a mangaka’s assistant?! Never in a million years! As Chiyo quickly discovers, Nozakikun, the boy of Chiyo’s dreams, is a manga artist…a hugely popular shoujo manga artist, that is! 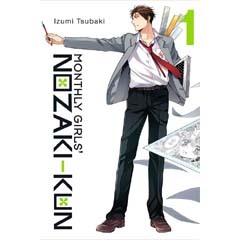 But for someone who makes a living drawing sweet girly romances, Nozaki-kun is a little slow onn the uptake when it comes to matters of the heart in reality. And so Chiyo’s daily life of manga making and heartache begins!